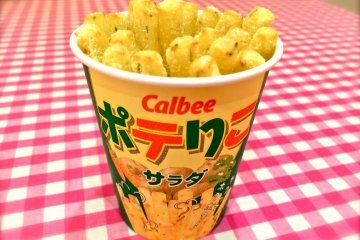 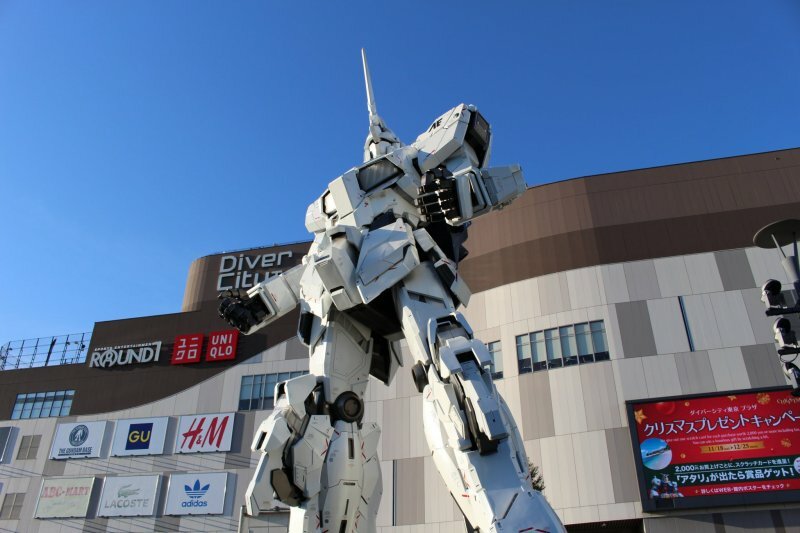 Gundam fans and everyone else, rejoice. 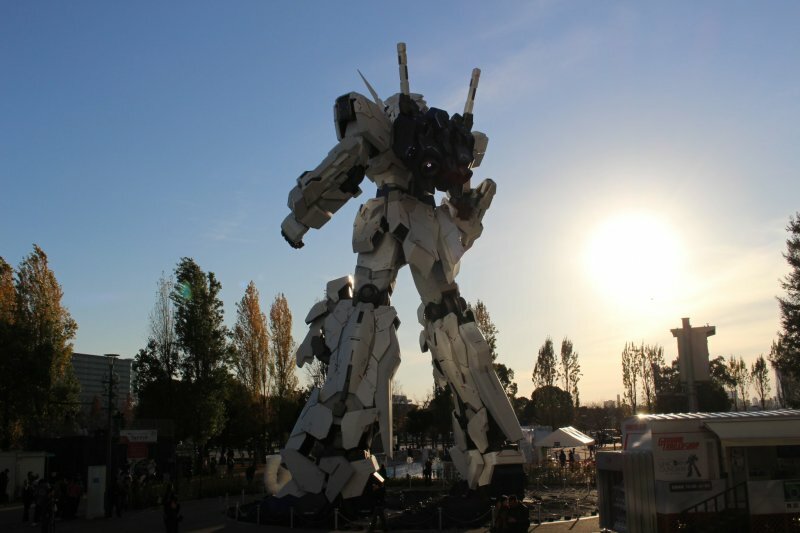 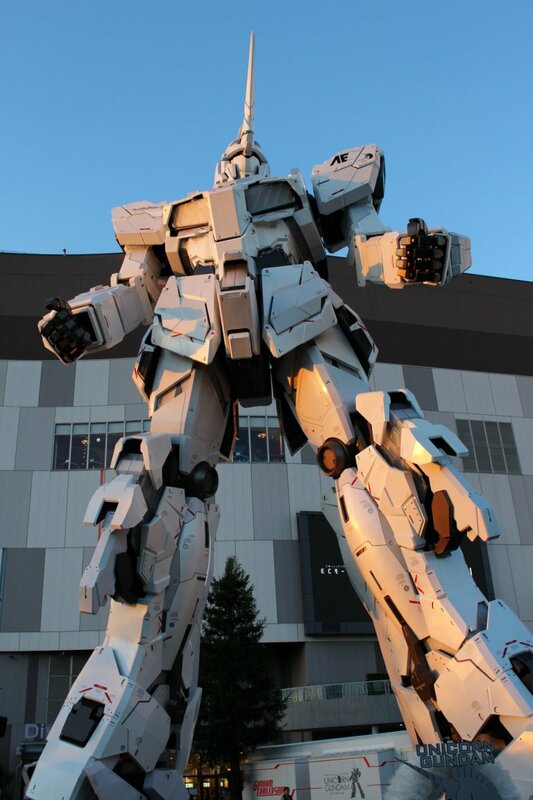 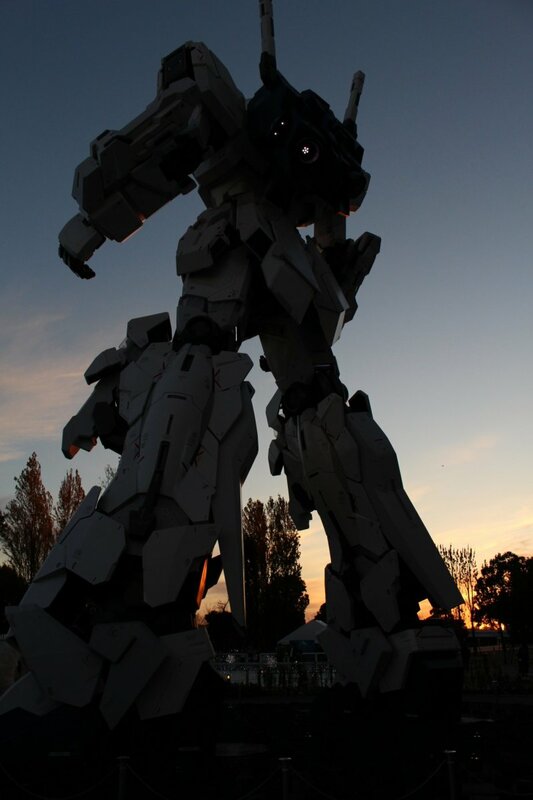 Odaiba's much-loved full-scale replica Gundam is back - even bigger and better than before. 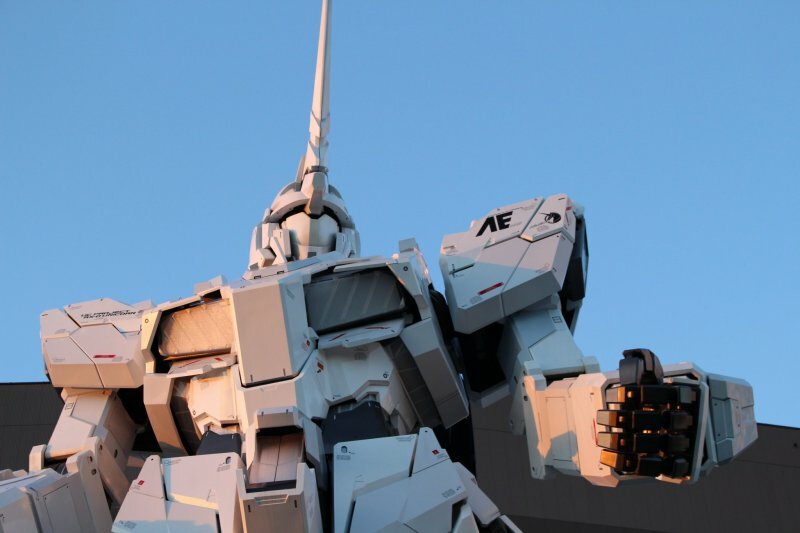 Say hello to the RX-0 Unicorn Gundam replica from the Mobile Suit Gundam Unicorn series. 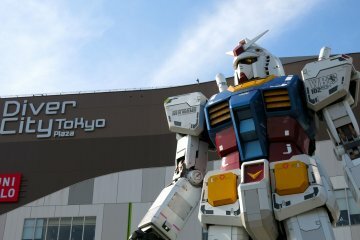 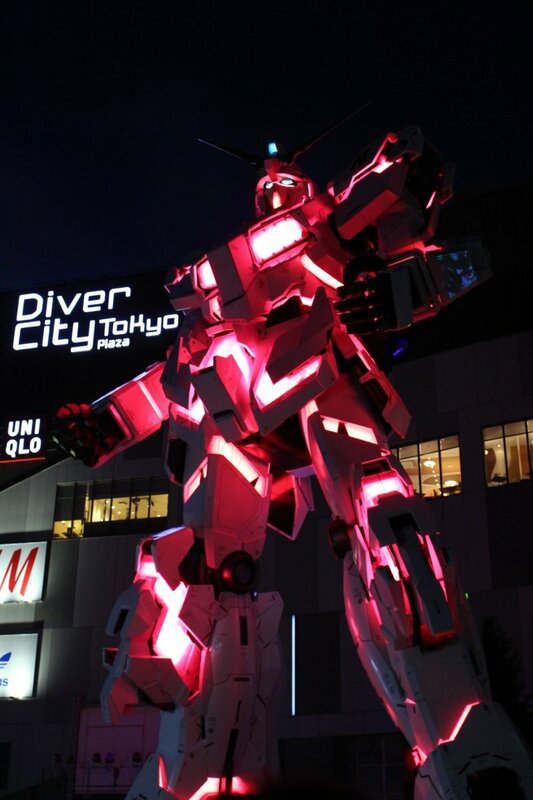 Parked in front of DiverCity Tokyo Plaza, the new life-sized Gundam statue now towers over spectators at a staggering height of 19.7 metres. 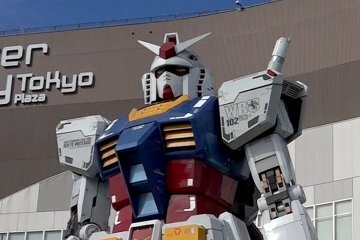 If you have been to Odaiba before, you would have seen the classic RX-78-2 Gundam statue - arguably the former centrepiece of the man-made island - and probably had a photo taken with it. 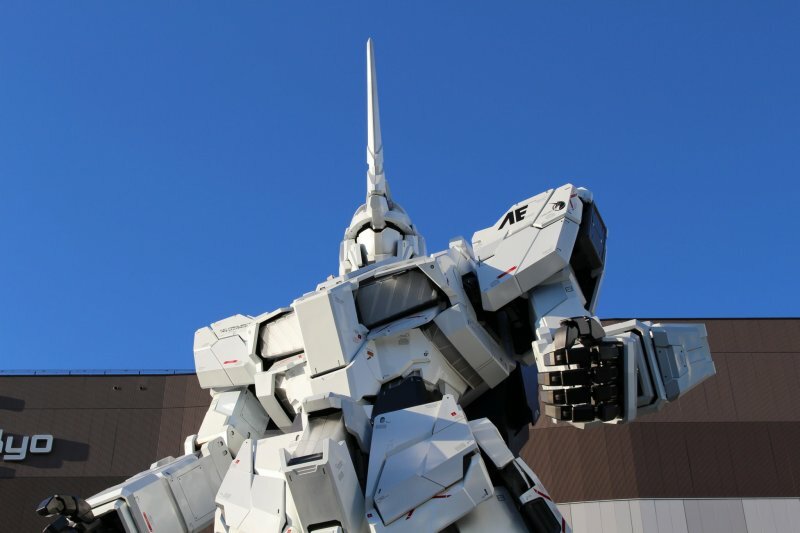 It was removed in the spring of 2017 and in September 2017, the Unicorn-1.7 meters taller-was unveiled in its place. 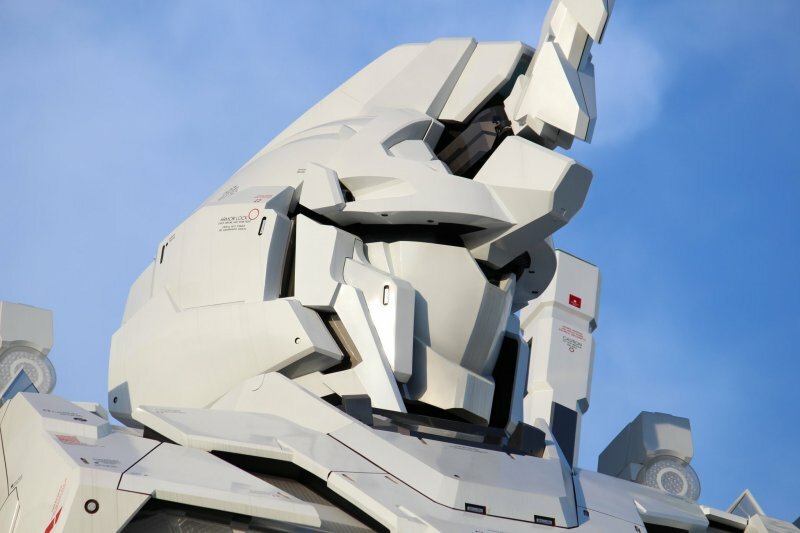 What's new about the Unicorn is that unlike its predecessor, it can switch between two modes - Unicorn and Destroyer - and you can catch the change a number of times each day. 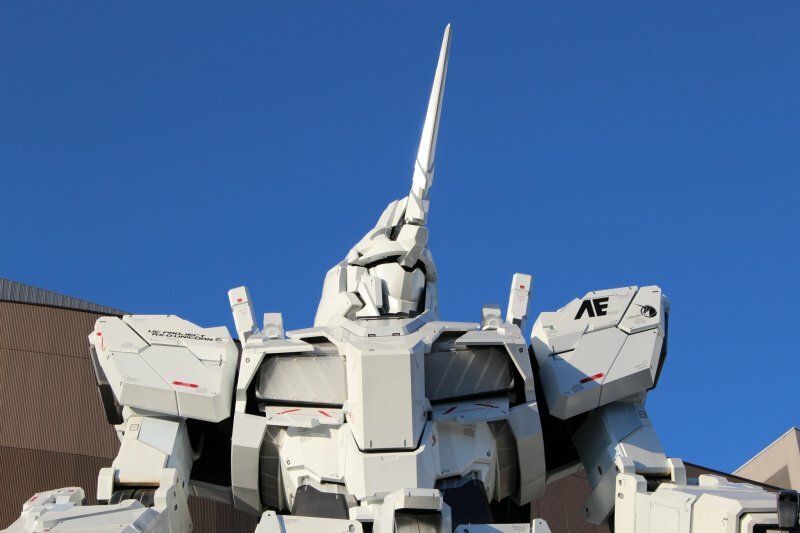 The Unicorn mode sees the Gundam with a single horn on its head, while the Destroyer mode reveals the statue's hidden light panels. 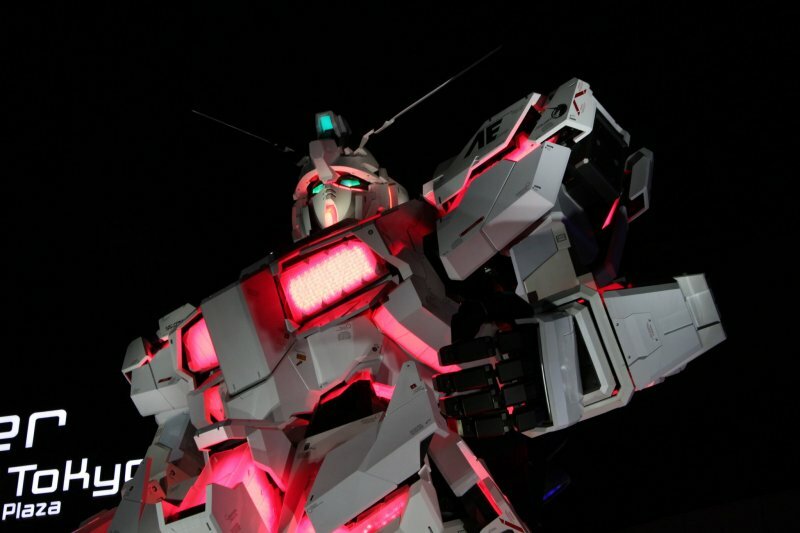 Watch the original Gundam statue in action! 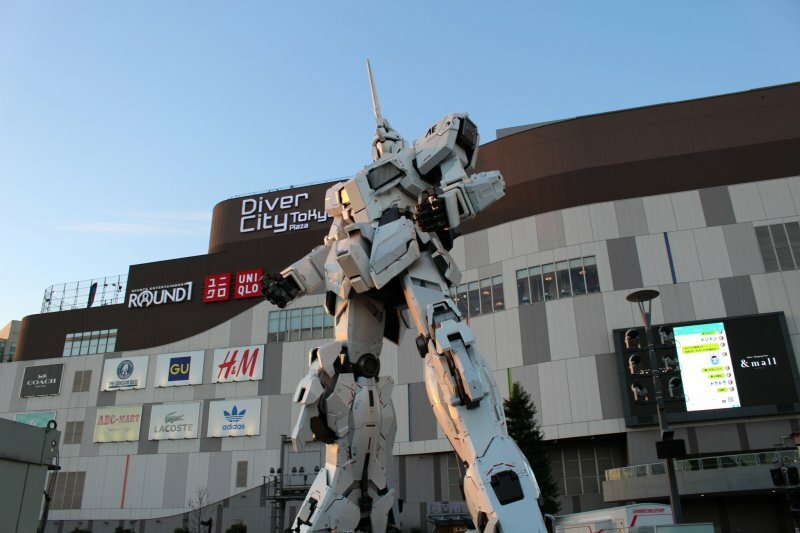 What time is the Gundam show performance? The armour plates shift during the change and this happens in around 10 seconds, so prepare your cameras for the moment. 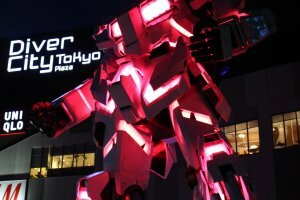 The visual display continues into the night as after the sun sets, the statue lights up, with the Destroyer mode’s panels glowing like beacons in the night. 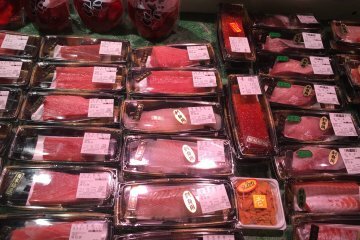 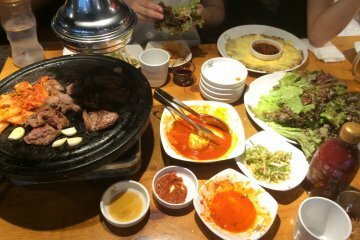 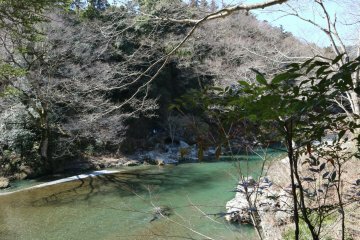 That's not all there is. 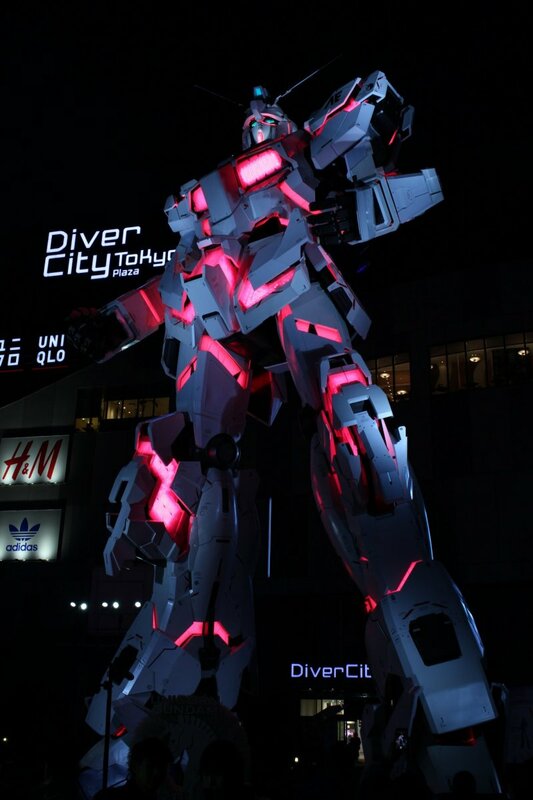 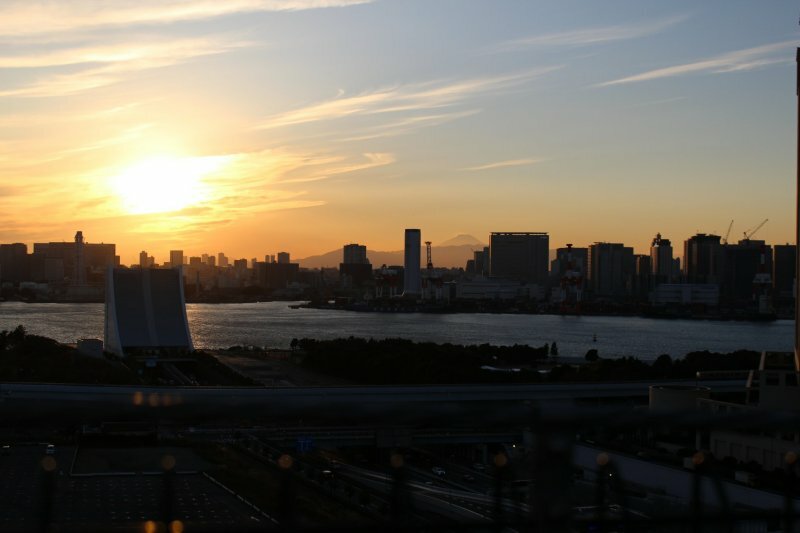 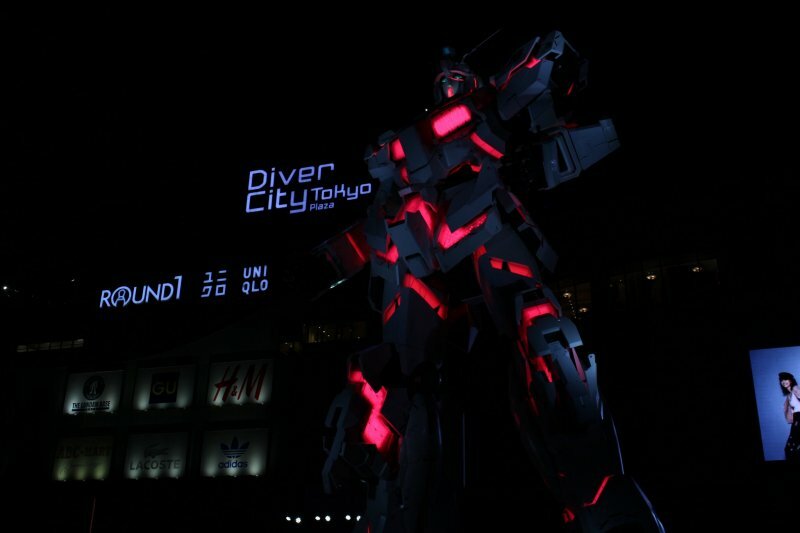 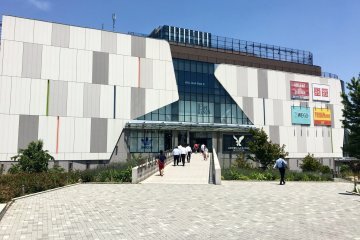 Anime clips are projected onto the exterior of Diver City and various Gundam theme songs are played from speakers at 7.30pm to 9.30pm every half hour. 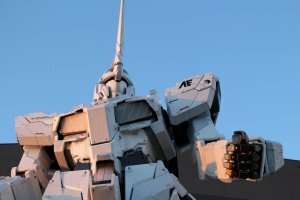 You can also see the statue transform to Unicorn Mode and back during those timings. Whether you’re a fan or just visiting, the Unicorn is definitely a must-see in Tokyo and you’ll be hard-pressed to find a sleeker statue around. 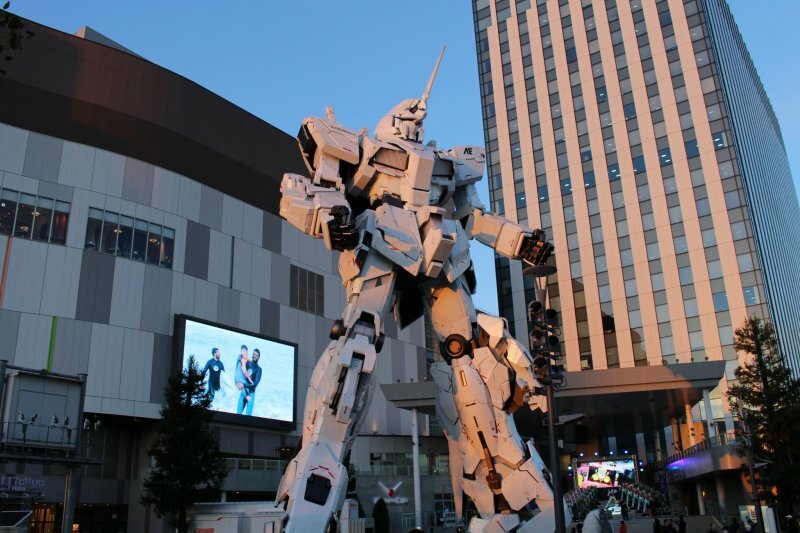 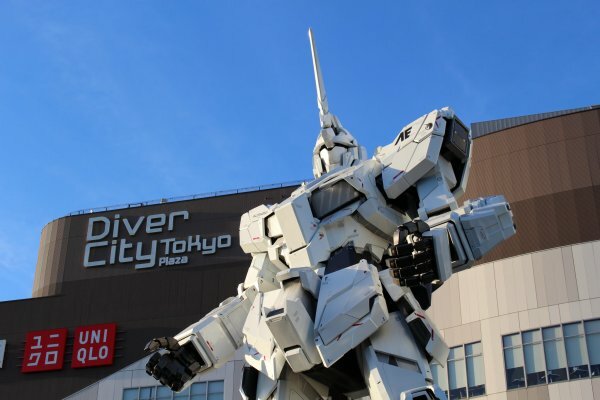 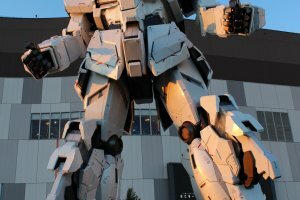 The Unicorn Gundam is located at the south side of DiverCity Tokyo Plaza, and about a 10-minute walk from Daiba station, Fune-No-Kagakukan station and Aomi station.